V is for Vino has 250,000 minutes of watch time and growing! Wineries participating in V is for Vino become the exclusive winery to represent their region on the V is for Vino show. Become an ambassador for your region on the wine show that's growing every day while simultaneously aligning yourself with other vineyards in your category. 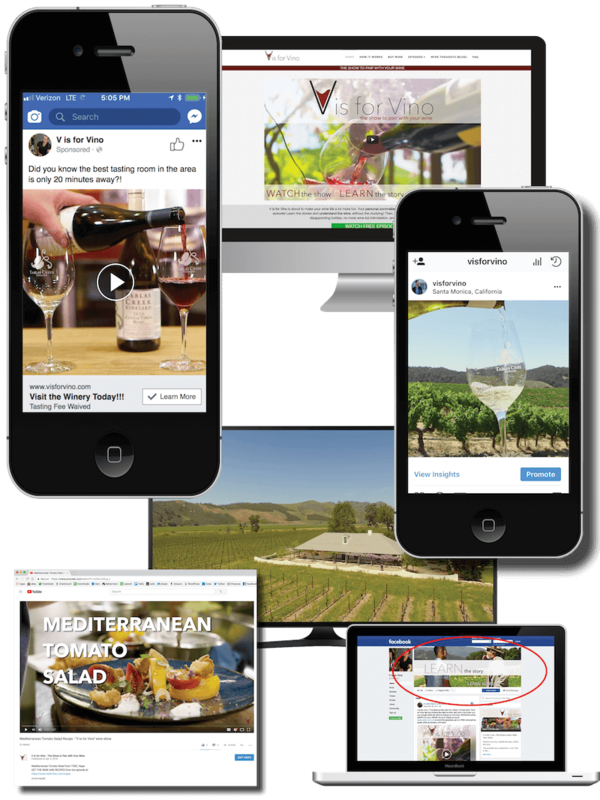 Be able to tell your customers that they can now see you featured on the show from the comfort of their homes: streaming on their TV or digital device from Amazon Prime, visforvino.com, YouTube, or Facebook. Video is here to stay. It's estimated that 80% of all online traffic will be video based by 2020. Video content producers more engagement from consumers and has a cheaper cost per impression for advertising. 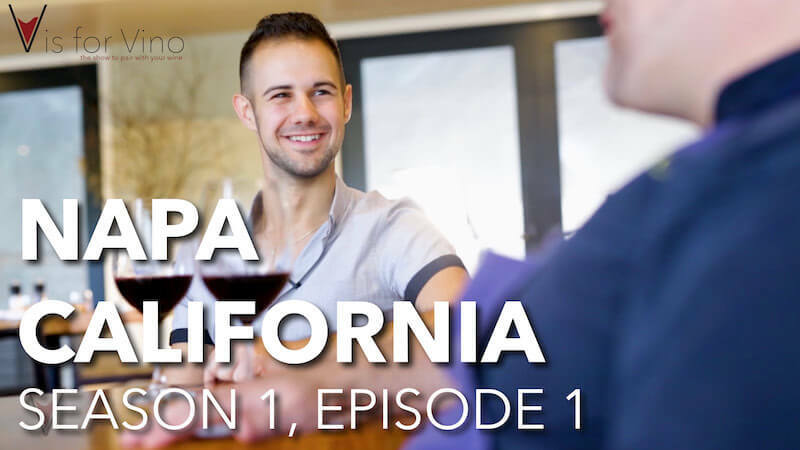 After customers watch the episode on visforvino.com, they are encouraged to purchase your featured wines from the episode! 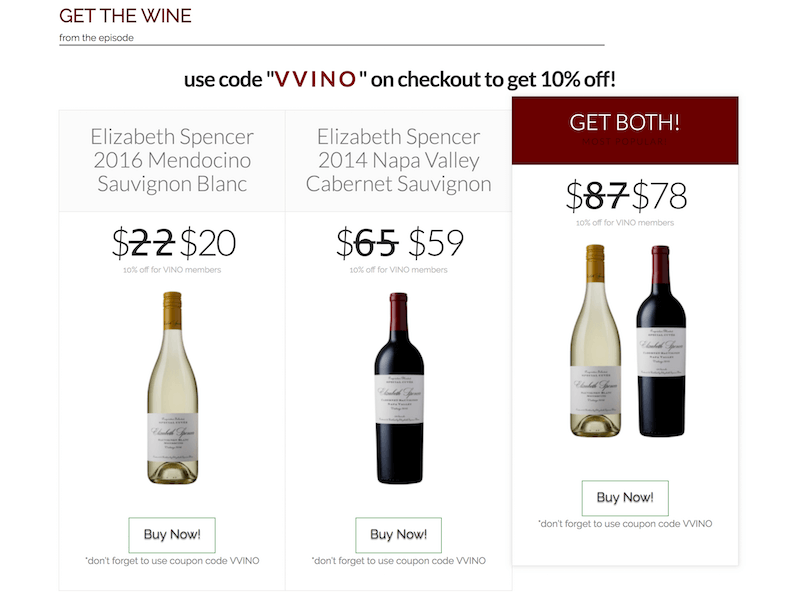 The links take consumers to your wineries website, where they complete the transaction. As V is for Vino grows over the next few years, so will your winery! Not only does this provide the opportunity for DTC sales, but since the transaction occurs on your website, you also have the ability to follow up with customers via email in order to grow your wine club membership! Ready to get started? No matter what your needs, we're excited to work with you to achieve your marketing goals. Call now, or fill out the form on this page and expect a response within 24 hours.